Israel is on high alert going into the Passover holiday after a pair of Grad rockets fired from Egypt exploded in Eilat early on Thursday. It was the first the rocket attack on Israel from Egypt since the collapse of the regime of Hosni Mubarak more than a year ago. However, In August of 2010, five Katyusha rockets hit the city of Eilat. Two exploded in open areas and three fell into the sea. No injuries were reported. Rockets were also fired at Eilat in April of 2010. One landed in the sea, and one hit the Jordanian city of Aqaba. Nonetheless, Israel placed the IDF on its highest state of alert following a situation assessment by senior commanders after Thursday's attack. The alert comes as thousands of visitors begin arriving in the resort town of Eilat for the holiday. The move came just one week after IDF chief of staff Benny Gantz said Israel’s military would remain at full strength – but not high alert – over Passover. 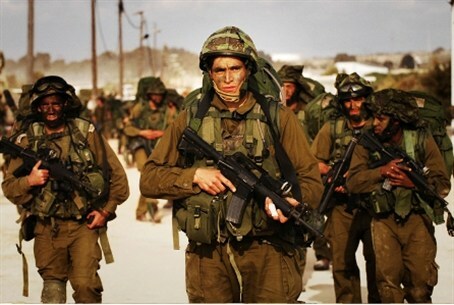 Gantz’s decision ended the Israeli tradition of the army “going on vacation” for Passover. The head of Eilat police said explosions were heard in Eilat soon after midnight. Police found the remains of one rocket in a construction site, about 400 meters from a residential area. "Based on our working assumptions and the (rocket) range, yes, [the rocket was fired from Sinai]," the police chief told reporters. He added that police were searching for more rockets that may have landed. The Israel-Egypt border had been relatively quiet since the two countries signed a peace agreement in 1979, but security officials say the Sinai has become a staging ground for terrorism against Israel since Mubarak's ouster in Februay 2011. Two weeks ago, the Israel Security Agency (ISA) arrested a Hamas terrorist who planned to kidnap an IDF soldier and aid in a suicide bombing in Eilat. Mahmed Abu Aadram, an operative in the Hamas terror organization operating in Sinai, was captured as he attempted to infiltrate into Israel with other terrorists. The ceasefire brokered four days into the exchange has been intermittently violated by Gaza’s terror gangs in the past month.